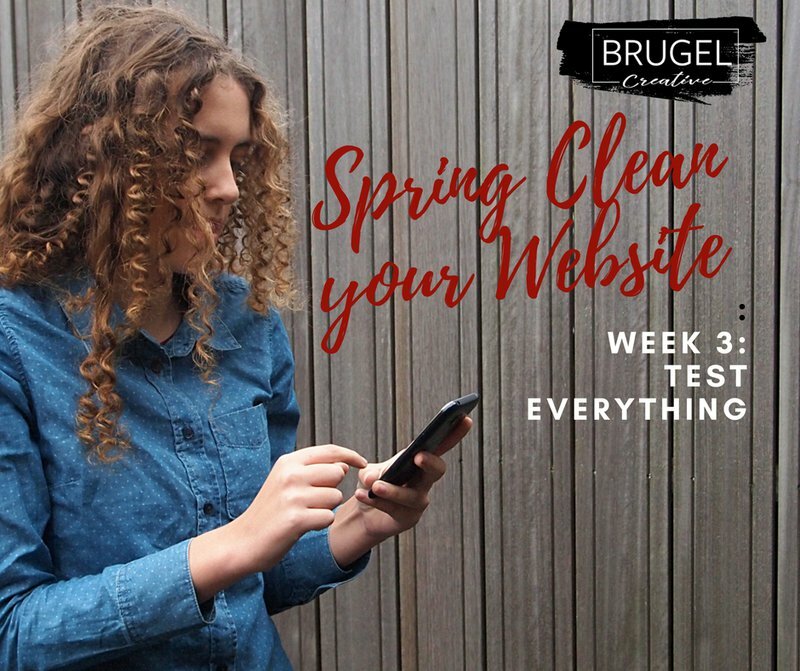 Welcome back to our series on how to Spring Cleaning your website! This week we’ll be talking about how to test your website. We hope that your engine is running at peak performance after running maintenance, and that you’ve found some gems through Google Analytics. This week, we’ll be looking at some ways you can test your website, and make sure it’s working the way it should. Remember: Take the time to test your website. Starting with the home page and go through and test every link… boring! To make life easier, we recommend you find a free tool, such as this broken link checker. It will show you where your dead links are, and you can then work your way through your website and fix any issues. The link checker will highlight any issues, such as if you’ve deleted a page and forgotten you had a link directed to it on another page. Or even more commonly, you had a link to a webpage on an external website that no longer exists. The link checker will also highlight if any buttons you have on your site are also broken. Buttons really are just hyperlinks that have been styled to look a bit fancy. Having buttons that work the way your site visitor expects them to gives your user great experience. You can find out more about the importance of UX (User Experience) here. Forms can make or break the UX of your website. A form that’s functioning as it should, will give people confidence in your services, and make it easy for them to get in touch. It’s even more important that the form gets to you once a prospective customer has filled it in. Are there any fields that should (or shouldn’t) be mandatory? How relevant are the questions to your target audience (can any be re-worded/deleted)? How long does it take the customer to complete? If you have automated responses set up, are they are working as they should? Are your website contact form responses going to the right inbox? If so, are they going to your spam/junk folder? Whilst checking everything on your website, don’t forget to test the links in your footer, header or sidebars too. These are often forgotten pieces in the testing process, however, these are some of the most vital elements of your website, as it helps your user know where to find the information they’re looking for. Check that all the menus are working, even check that everything is spelt correctly. One of the final things to test is the compatibility of your website on various platforms. You can check your site on both a PC and mobile, and in various browsers (such as Chrome, Firefox, Internet Explorer, Safari, and any other browser the cool kids are using these days…. or, if you’d prefer, you can also find plenty of free cross-browser testing tools online, such as this one, Browserling. Job well done! Time to kick off the shoes, and grab a celebratory refreshment. Don’t forget, if you don’t feel confident to do this yourself, or you simply don’t have the time, we’re happy to help you out. Contact Brugel Creative today if you want to make sure your website is working the way it should. If you run into any/too many technical issues along the way, speak to us at Brugel Creative and we can help fix this for you.